Established in 1801, Smith Bateson is one of the UK’s leading paper and polythene distributors. 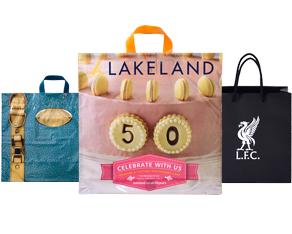 We bring over 200 years of specialist experience in plain and printed point of sale packaging to the retailer. 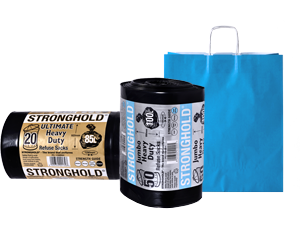 In addition to our retail services we also provide an extensive product range of consumable for industrial, janitorial and catering requirements. Smith Bateson has a range of products to suit client’s requirements, including environmental product options such as bags for life, materials with recycled content, and technology is also available to produce and supply packaging with degradable additives. In order to meet the requirements of an ever more competitive market, we have built a particular expertise in global sourcing of packaging products. We have negotiated Partnership Agreements with many of the key manufacturers across the globe, ensuring that our range of products is comprehensive, competitively priced and meets the highest standards of quality. Our client service team is always available to give expert advice on the most appropriate and cost-effective products to meet and exceed your needs. In short, Smith Bateson has all the qualities to become your ultimate performance packaging partner. 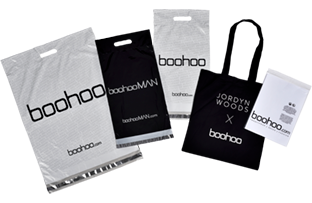 Smith Bateson has been extremely successful in supplying bespoke printed polythene and paper mailing bags, luxury boxes, and dress/suit carriers for online dispatch orders. Printed tissue paper, ribbons and labels all promote and reinforce your brand.